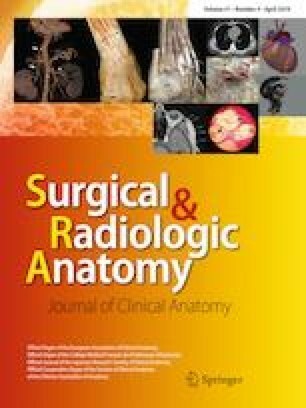 The goal of this study was to evaluate the anatomy of the medial patellar retinaculum and the medial patellofemoral ligament (MPFL) to provide an anatomical validation of a pediatric reconstruction technique. Fifteen knees were dissected to study the MPFL and its relationship with the medial patellar retinaculum and the femoral insertion of the medial collateral ligament (MCL). The distances between the insertions of the MPFL of eight knees, and the patellar insertion of the MPFL and the femoral insertion of the MCL of four knees, were measured during the flexion to evaluate the isometricity of the native and reconstructed MPFL. The medial patellar retinaculum includes four structures: the fascia, fibrous expansions of the vastus muscles, the MPFL and the medial patellomeniscal ligament. The femoral insertion of the MPFL was located just behind the femoral insertion of the MCL in 12 knees. During flexion, the distance between the insertion on the upper patella and the femoral insertion of the MPFL increased while the distance between the insertion on the lower patella and the femoral insertion of the MPFL decreased. The variation in the distances measured during the flexion was greater between the MPFL insertions (nsup = 6.5 mm, ninf = 6.5 mm) than between the patellar insertion of the MPFL and the femoral insertion of the MCL (n′sup = 2.5 mm, n′inf = 5.75 mm). The MPFL is not isometric. Even though the results were obtained from knees of elderly specimens, this study demonstrates reconstruction of the MPFL should take into account its anatomy and biomechanical role in the knee. CD and LG contributed to study design, realized dissections, contributed to data analysis and draft of the manuscript. CS, AC and SP made critical revisions to the manuscript. AH supervised the study, contributed to analysis and interpretation of data and made critical revisions to the manuscript. All the authors read and approved the final manuscript prior to submission.